Q. How many movies/DVDs can I take out at once? 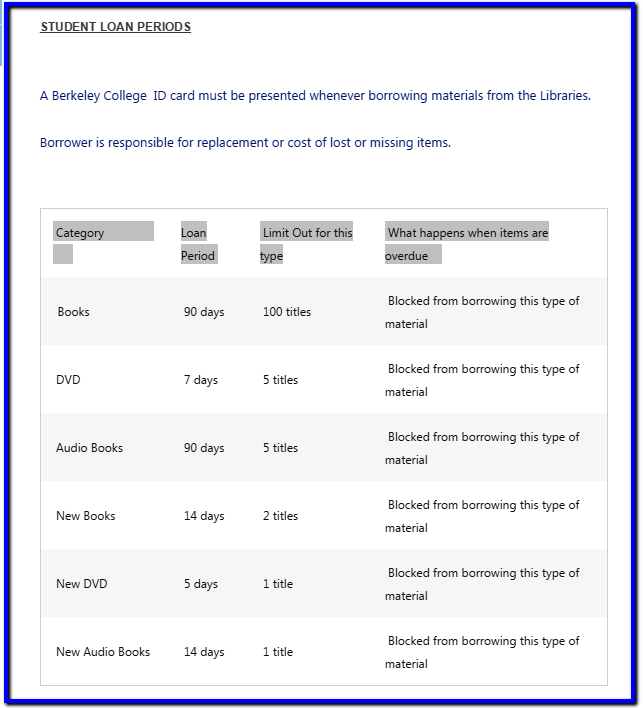 Students, staff, and faculty may have up to 5 DVDs checked out of the Berkeley College Libraries at any given time. New DVDs can be taken out only 1 at a time.